Brunswick Town BN3, Portrait of an Urban Community. I now have a new print run of these Signed, Limited Edition books available. View on Blurb & order from me. 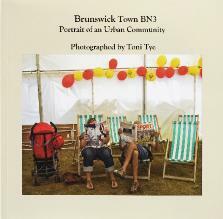 Images from my book Brunswick Town BN3, Portrait of an Urban Community now available as seasonal greeting cards & postcards: click here or on Cards of Brunswick in the menu on the left.